Bulova C4874 Aerojet Wall Clock has a very sleek industrial design. 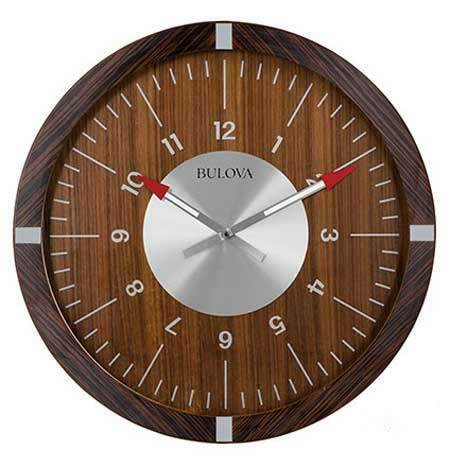 The Zebra wood veneer outer case has a satin lacquer finish to enhance the natural grain. The sliver-tone markers at the quarter hours complement the silver-tone inner ring. 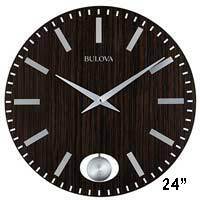 The Walnut veneer chapter ring has silver-tone Arabic numerals. 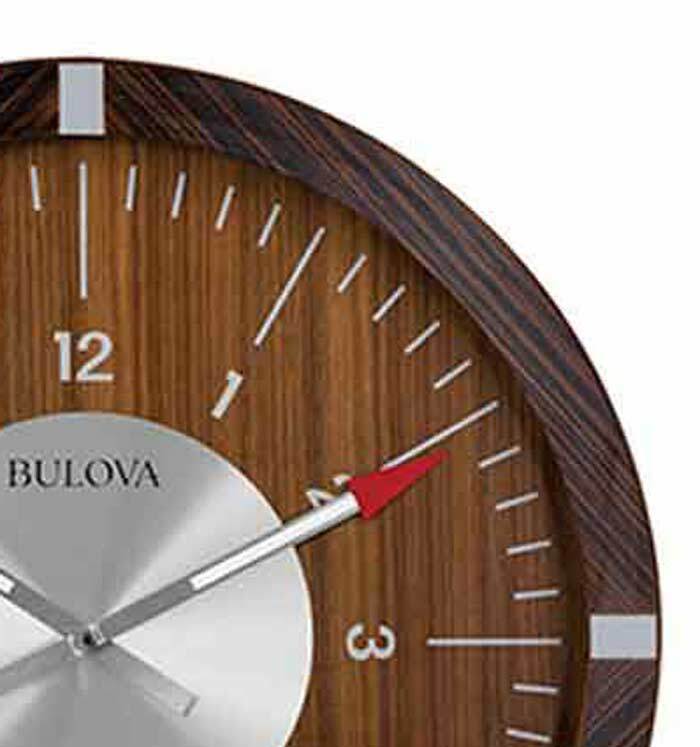 The unique red tipped hands are inspired by Bulova’s Aerojet watch. 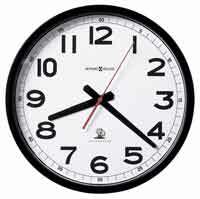 The accurate Quartz, battery operated movement requires (1) AA battery, not included. Size: Diameter. 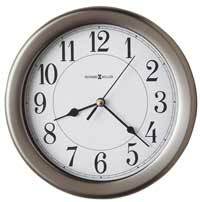 : 30" Depth: 2.5"
Clocks for sale at The Clock Depot including the C4874 at discount prices.